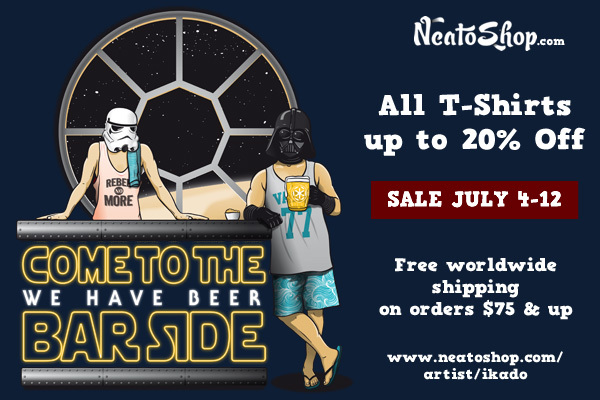 I'll be running a Summer sale from July 4 to 12, 2015 on my NeatoShop store. During this sale period, all T-shirts are up to 20% off, with free worldwide shipping on orders $75 and up. The Sale ends on Sunday, July 12 at 11:59 PM.